We are taking expressions of interest now for his next guest spot with us! Contact the studio with all enquiries. We will also be releasing the book ‘Horikashi Vol 1’ this March at the Sydney expo, a collection of paintings and line drawings…all in a cloth bound volume 34cm x 24cm with a gold inlay cover 196 pages on thick matte paper. Stay tuned! In the meantime Horikashi has entrusted us with his valuable art collection, which is exclusively for sale through our studio. If you are interested in owning a one off Traditional Japanese painting, please enquire for pricing and cost of worldwide shipping! All available pieces are in the gallery below. Nestled in a mountainous region in central Japan is a small town called Gifu, that is home to Horikashi’s private studio. 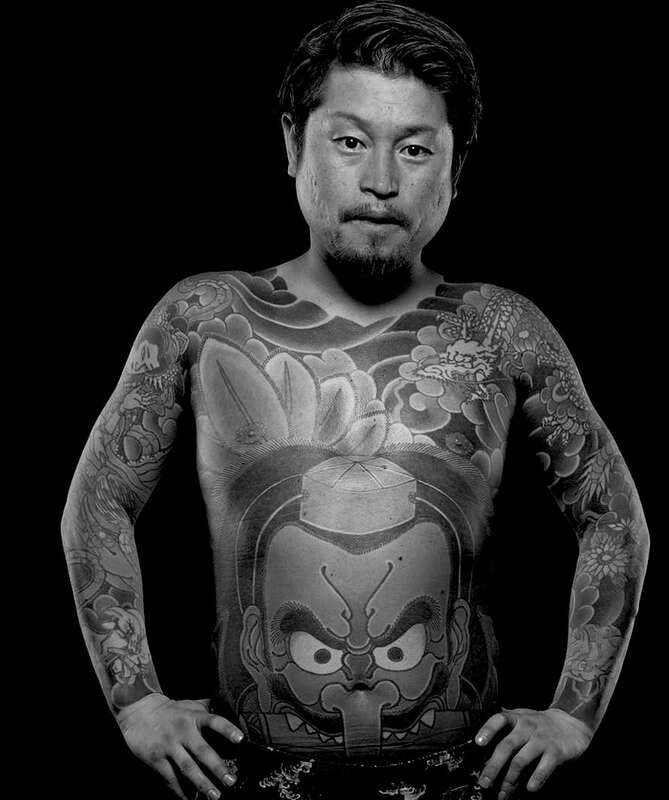 Horikashi is a tebori master; the ancient art of Japanese tattooing by hand. After doing a 13 year apprenticeship under a Japanese tattoo master and family, learning the ways of tebori and also making the tattoo hand tools from scratch, Horikashi has owned his own studio for 6 years where he tattoos and paints full time. Known for his large scale traditional Japanese body suits, and also for his incredible painting and art skills, he is bringing his talents to Sydney, Australia for the first time.